(L-R) are Dan Horton, Terex Utilities; Cynthia Herrera, TFL; Melissa Garcia, TFL; Sue Perkins, Terex Utilities; and Billie Alaquinez, Terex Utilities. Terex Utilities team members from across the nation traveled to Houston, Texas, for the company's annual sales and service training meeting in January. 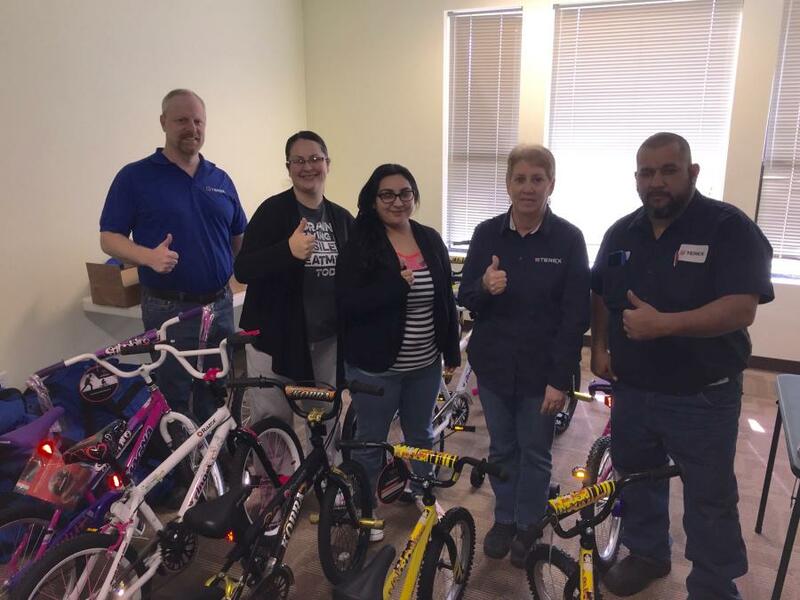 While in Texas, 85 employees teamed up with the company's San Antonio-based service center to get involved in two local community organizations that serve at-risk youth. For one of the projects, 16 bikes were purchased and assembled for Therapeutic Family Life (TFL), a foster-care agency. 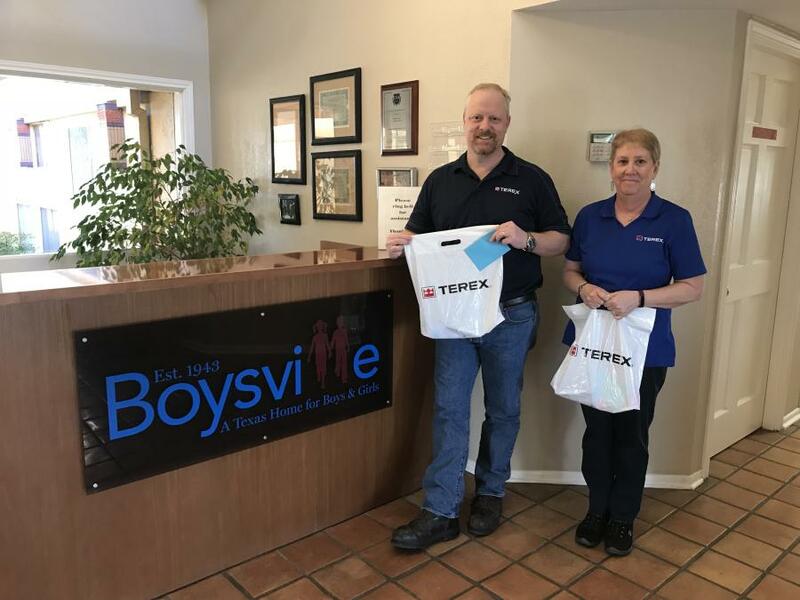 The other project involved packing 100 personal hygiene kits for Boysville Inc., a home for boys and girls who cannot remain in their own home due to abuse, neglect, abandonment or family disruption. “We became aware of Therapeutic Family Life because our technician, Billie Alaquinez, has fostered more than 20 children and adopted six through TFL. And, Boysville is a well-known charitable organization in the San Antonio area located just a short distance from our branch,” said Daniel Horton, branch manager. According to Boysville, children arrive at all hours of the day often with only the clothes they are wearing. Clothes, hygiene items, and toys are some of the basic everyday things that make a big difference to children in need. Less than 24 hours after delivering the kits, McKenzie Radzik, Boysville development associate said they were already going out to kids. For more information, visit tflife.org and boysvilletexas.org. Making citizenship a priority at the annual sales meeting has become a tradition at Terex Utilities. “We are proud to support local organizations in communities where Terex team members live and work,” said Jim Lohan, VP sales and marketing.